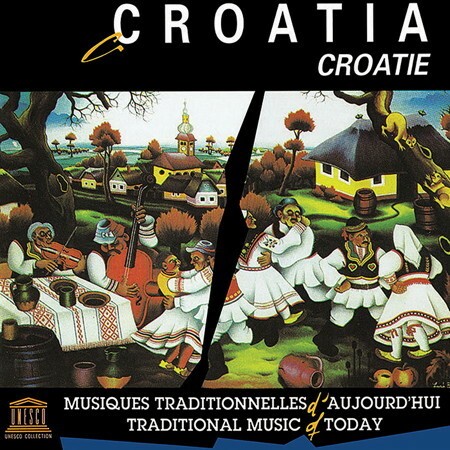 Croatia: Traditional Music of Today/Croatie  Musiques Traditionnelles d'Aujourd'hui. Paris: Avudis-UNESCO-ICTM D 8276 (1997). One compact disc, 62' 73". Recording and commentary (26 pages in English and French, including photo and map) by Svanibor Pettan. Based on a combination of recordings from the Croatian Radio-Television, as well as commercial and field recordings, made between 1959-1995. 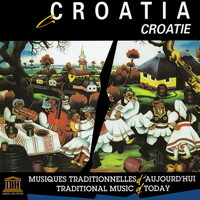 Croatie: Musiques d'autrefois. Paris: Ocora-Radio France, Ocora C 600006 (1997). One compact disc, 60'37". Commentary (28 pages in French, English, and Croatian, including photo) by Grozdana Marosevic. Based on studio and field recordings made by Croatian Radio between 1958-1993.